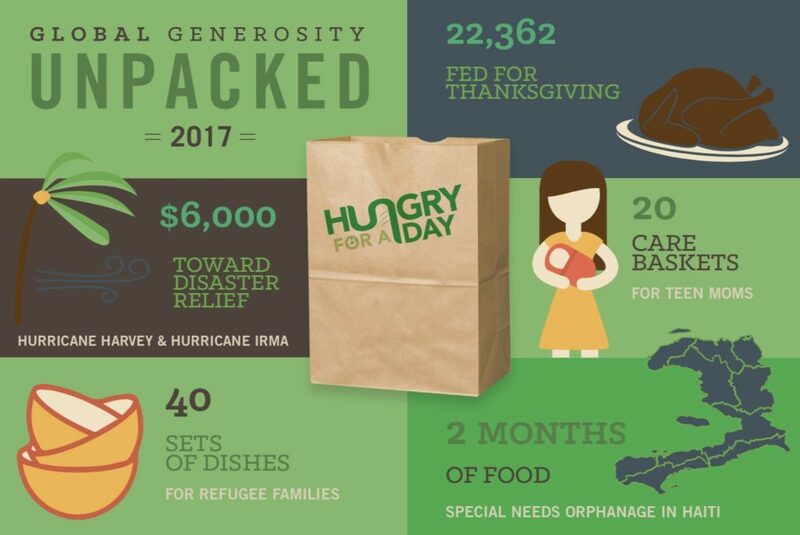 It was a great year building our community of generosity! When you gave to a project in 2017, 100% of your donation went DIRECTLY to the cause you believed in. To make this possible, our last project each year is to raise next year’s operating expenses. Our goal is to raise $19,500 to cover our 2018 operating costs. Expenses include administrative costs, credit card processing & IRS fees. We are volunteer-led, so no one on our leadership team takes a salary. Any amount you give is greatly appreciated and helps us continue to build a community of generosity. To give, you can visit http://h4ad.com/give. Thank you again for helping us to impact so many in 2017! With your help we look forward to changing lives, one meal at a time.